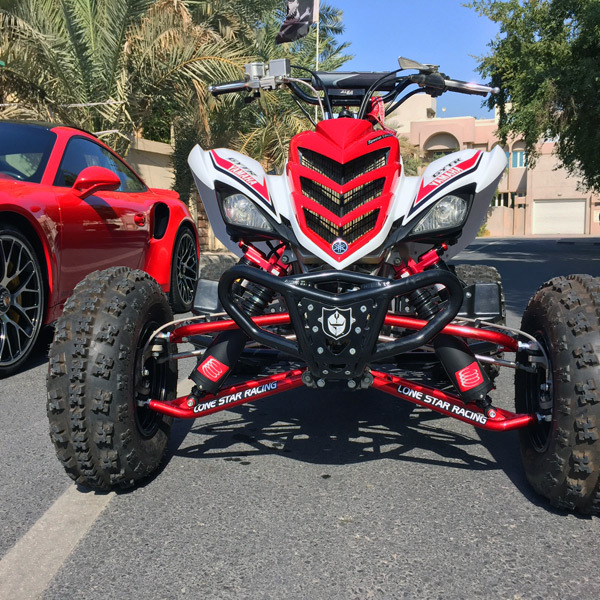 Check out this amazing Raptor 700 owned by iShock good friend and customer Nayef Al Emadi from Qatar. We had the pleasure of dialing in this killer machine with custom tuned Elka stage 4 shocks, LSR long travel arms, LSR extended swing arm, Alba stem and bar clamps and a LabTek stabilizer. Thanks for allowing us the privllage of being a part of this build Nayef!